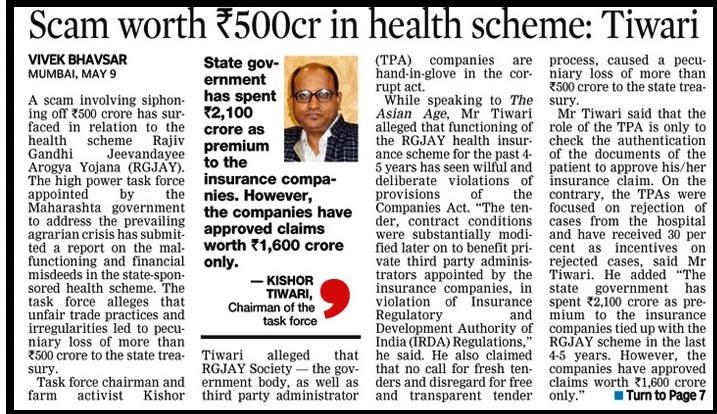 A scam involving siphoning off Rs 500 crore has surfaced in relation to the health scheme Rajiv Gandhi Jeevandayee Arogya Yojana (RGJAY). The high power task force appointed by the Maharashta government to address the prevailing agrarian crisis has submitted a report on the malfunctioning and financial misdeeds in the state-sponsored health scheme. The task force alleges that unfair trade practices and irregularities led to pecuniary loss of more than Rs 500 crore to the state treasury. 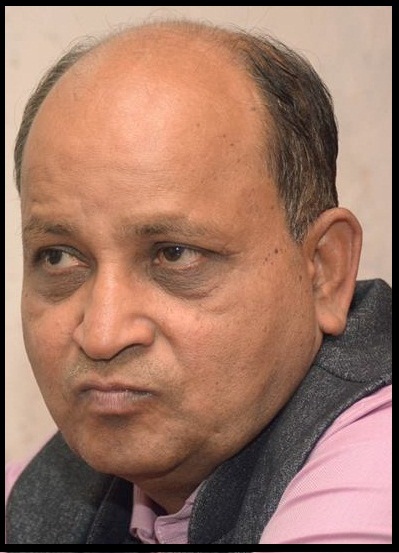 Task force chairman and farm activist Kishor Tiwari alleged that RGJAY Society — the government body, as well as third party administrator (TPA) companies are hand-in-glove in the corrupt act. 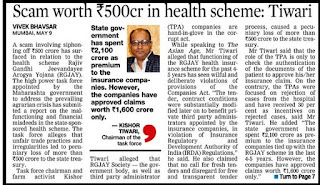 While speaking to The Asian Age, Mr Tiwari alleged that functioning of the RGJAY health insurance scheme for the past 4-5 years has seen wilful and deliberate violations of provisions of the Companies Act. “The tender, contract conditions were substantially modified later on to benefit private third party administrators appointed by the insurance companies, in violation of Insurance Regulatory and Development Authority of India (IRDA) Regulations,” he said. He also claimed that no call for fresh tenders and disregard for free and transparent tender process, caused a pecuniary loss of more than Rs 500 crore to the state treasury. It is crystal clear that the TPA and the insurance companies have siphoned Rs 500 crore of the state and officials from the health department are also involved in the scam, he claimed. The TPA had officially received Rs 130 crore as commission from the state government, and incentives against rejection of cases is in addition to this commission. “This is nothing, but a loot of government money and it should be probed, he said. “Hence, the entire role of all responsible officials must be examined and the amount of commission received by the TPAs need to be inquired into by the vigilance cell, anti-corruption bureau (ACB) or the Central Bureau of Investigation (CBI),” demanded Mr Tiwari.